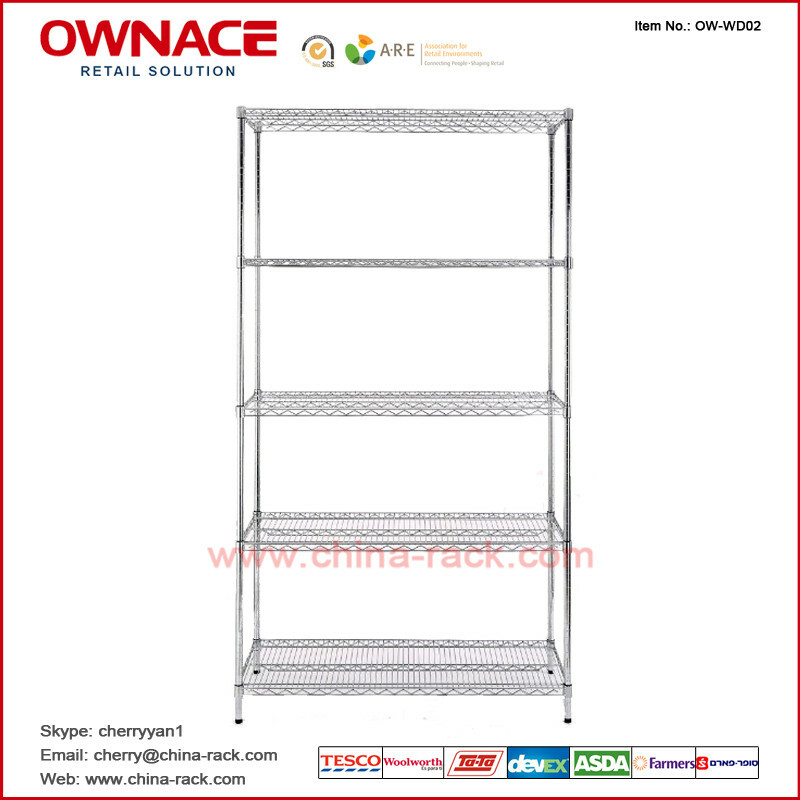 OW-WD02 Five 5 Layers Chrome Display Wire shelving - Buy Wire shelving, Wire display rack, Cold room storage rack Product on Suzhou Ownace Commercial Equipment LTD.
High Quality epoxy wire shelf with an attractive chrome finish. 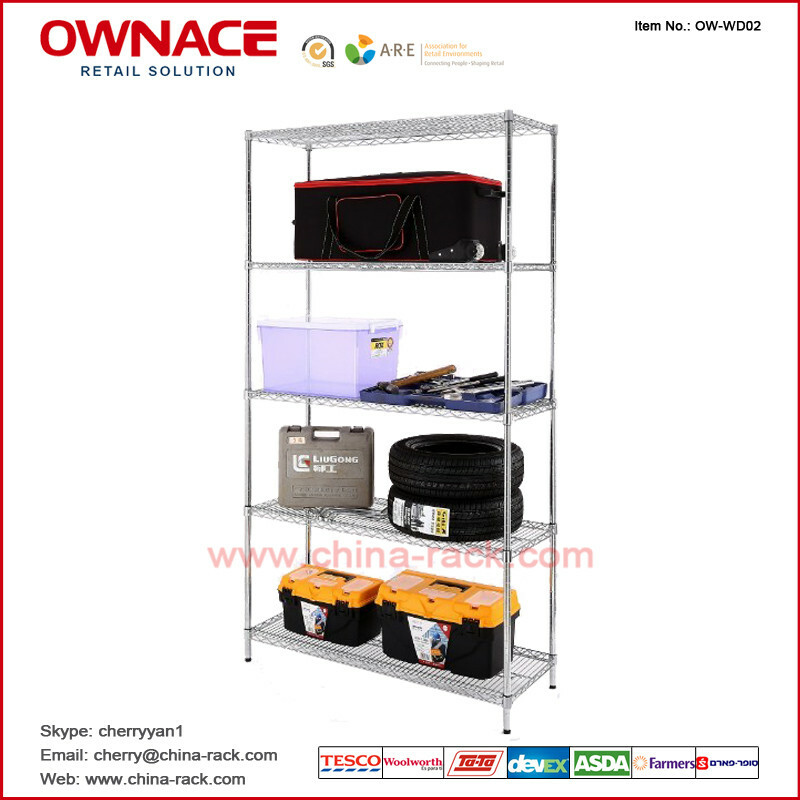 Chrome wire shelf is a versatile option for display and storage. 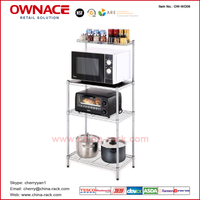 Chrome Wire Shelf Units are available in different widths and heights. 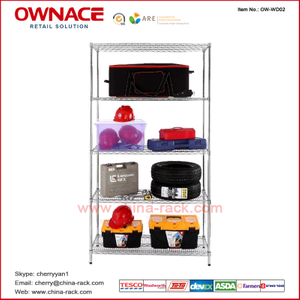 Easy assembly without tools, nuts and bolts. 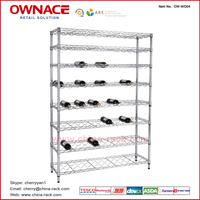 Chrome Shelving is ideal for shops, catering and domestic use. 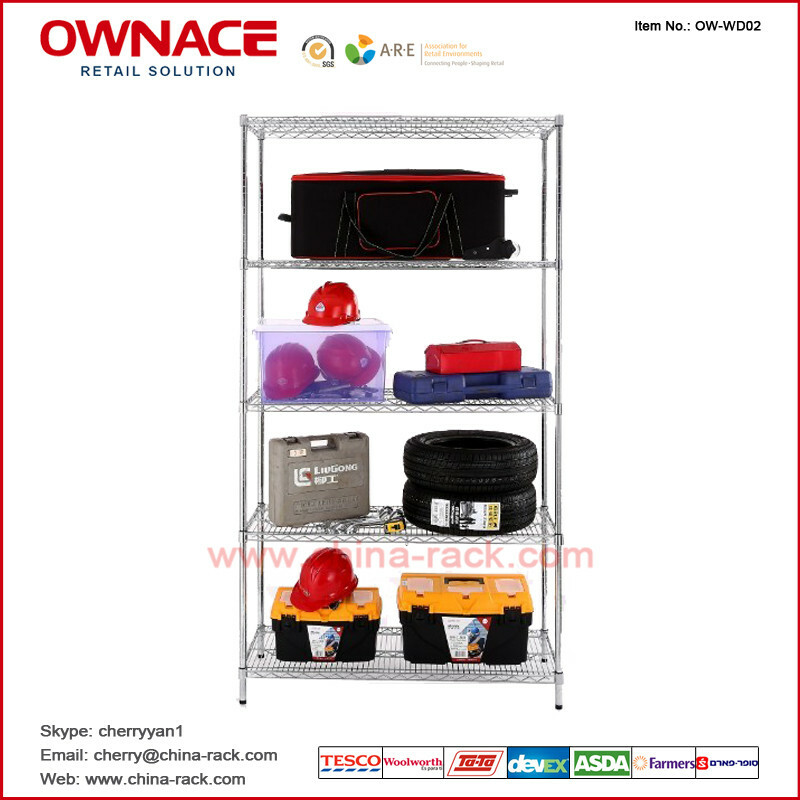 Regarded as hygienic shelving solution as it is easy to keep clean. 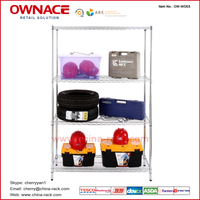 Use with wide range of Chrome Wire Shelving accessories and choose from extra, castors, ledges and garment rails. 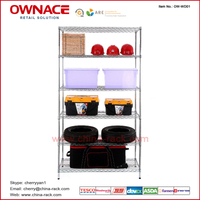 Chrome Shelving makes a fantastic looking display for all your purposes.